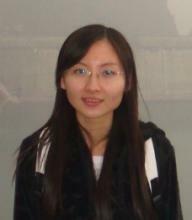 Xi Xi is a Ph.D student at Harbin Engineering University (P.R. China) and a visiting student at CRESS. She studied Finance for her bachelor degree, before completing her master degree in Business Management, since when she had her study engaged in knowledge and innovation research. She is now working on a project sponsored by NSFC (National Natural Science Foundation of China) with her supervisor Professor Sun Bing concerning about knowledge-intensive industries, where she will be focusing on agent-based model's applying into China's technology innovation. Xi Xi's research interests include using agent-based models to simulate the complexity in technology innovation in knowledge-intensive industries, as well as see into the innovation problems in those industries' competition, corporation and supply chain, searching proper measures for policy makers. As a visiting student at CRESS, she will work on the SKIN model on how it could be done in China's circumstances.